By any measurement, Cristiano Ronaldo is one of the greatest players to ever lace up a pair of football boots. He's won three Premier Leagues, two La Ligas, and a ridiculous five Champions League at club level, plus a Euro Championship with Portugal. His personal accolades are numerous too. Ronaldo has won five Ballon d'Or awards (tied with Lionel Messi for the most all time), and three UEFA Best Player in Europe awards. Despite another stellar season, he did not - however - win the latter in 2018. Can he bounce back and win it again in 2019? Football betting sites are always on top of the odds, and they correctly had Modric as the favourite this year at 10/11. Modric is also a slight favourite to win the Ballon d'Or… but Ronaldo's right there behind him. If things go to plan at Juve this season, CR7 will surely be in the mix next year for UEFA's most prestigious award. What does it take it to win? 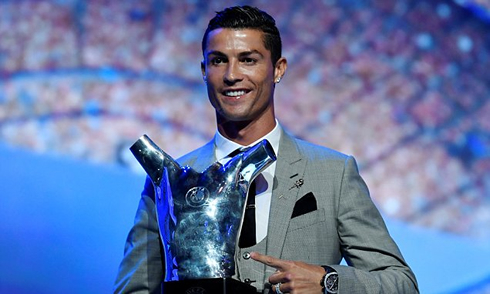 The UEFA Player of the Year Award was introduced in 2011. It is voted for by 55 journalists and 80 coaches, and recognises the best player in Europe each year. This award might lack the history of the Ballon d'Or, but it's far more unpredictable, and therefore arguably more interesting. While the Ballon d'Or has had only two winners in the past decade - Ronaldo and Messi - the UEFA Player of the Year award has crowned five different winners in eight years. The surest way to be a contender is to win trophies. Specifically, you want to win the big one - the Champions League. Of the eight award winners so far, seven of them have played for Champions League-winning teams. That includes this year's winner, Luka Modric. International success also plays a part. Of the four editions which have fallen in the same year as either a Euro Championship or World Cup, three of the award winners either won or made the final of that competition with their country. Ronaldo has won the UEFA Best Player in Europe award three times - in 13/14, 15/16 and 16/17. His biggest win came in 2015-16, when he received a whopping 73% of the votes. Simply put, Ronaldo dominated the world of football in that season. He won the Champions League, scoring a ludicrous 16 goals in 12 games in the process; bagged 35 goals in 36 games in La Liga; and captained Portugal to EURO 2016 victory. For his most recent win, in 16/17, Ronaldo garnered 66% of the vote. Once again, it was both an impressive personal season for Ronaldo (42 goals in 46 games), and a successful year for Real Madrid, as they won La Liga, the Champions League and the FIFA Club World Cup. Why didn't he win it in 2018? Despite another stellar season, in which he scored 44 goals and won the Champions League once more, Ronaldo failed to win in 2018. The winner was Ronaldo's former teammate at Real Madrid, Luka Modric. Whilst they both claimed yet another Champions League medal, Modric trumped Ronaldo at the 2018 FIFA World Cup. He managed to lead Croatia all the way to the final, whilst Ronaldo's Portugal got dumped out in the first knockout round. Once again, the voters for this award clearly showed that they place more importance on team success than on sheer goalscoring numbers. Can Ronaldo win it in 2019? 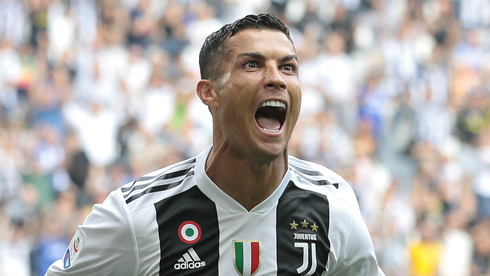 Ronaldo has scored goals everywhere he’s been, and there's no reason to think this won’t continue at Juventus. Serie A's single-season goalscoring record is 36, set by Gonzalo Higuain for Napoli in 15/16. If Ronaldo could top that (which he did three times for Real Madrid), that would automatically vault him into the conversation for the UEFA Best Player in Europe Award. As we've seen, however, the voters for this award value trophies over all else. 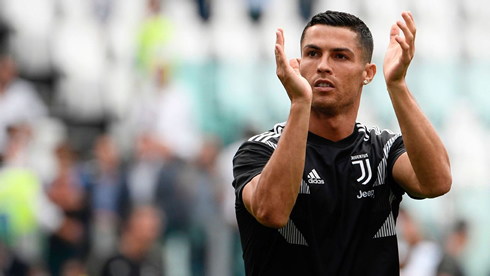 Juventus are almost a foregone conclusion to win Serie A once more in 18/19, so - with no major international competitions - everything comes down to the Champions League for Ronaldo. If he can lead Juve to victory in that - as he did so many times in Madrid - I'd make him a heavy favourite to win the UEFA Best Player in Europe award in 2019. 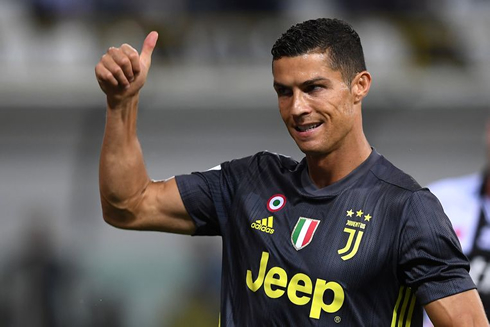 Cristiano Ronaldo next game for Juventus is on October 20 of 2018 against Genoa. You can watch Juventus vs Genoa, Real Madrid vs Levante, Barça vs Sevilla, Chelsea vs Manchester United, West Ham vs Spurs, and Manchester City vs Burnley, all matches provided from our footy live game pages.